When the summer solstice approaches, with sunset late in the evening and sunrise long before I normally get out of bed, I always get the urge to travel to some ancient stone circle and enact rituals in honour of the summer - or at least party with all the other pagans who feel the same call of the stones. Despite the fact that archaeological evidence suggests our ancestors originally used stone circles to celebrate midwinter more than midsummer, the summer solstice is the big event for most modern pagans and is a great excuse to get out into the countryside and have fun while the sun shines. Last summer at around the time of the solstice I visited Swinside - or Sunkenkirk - Stone Circle, in Cumbria, with some friends. The sun wasn't actually shining that day - in fact it rained quite a bit - but it was still a great day out and the megalith was well worth visiting. 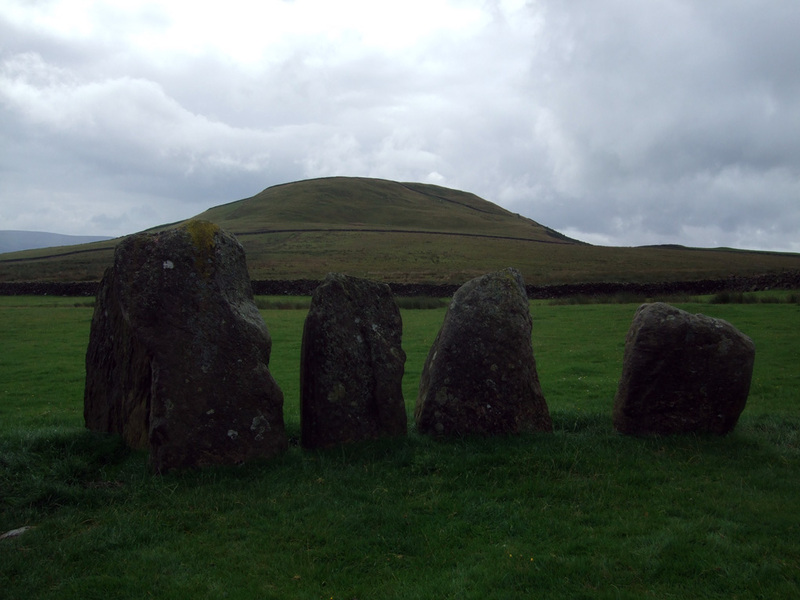 Swinside is an intact circle of 55 stones, 90ft across, in the beautiful landscape of the Lake District. Although it is on a private field, access is easy if you don't mind a steepish walk up a track from the nearest car park on the eastern side of Black Combe, about half a mile away. 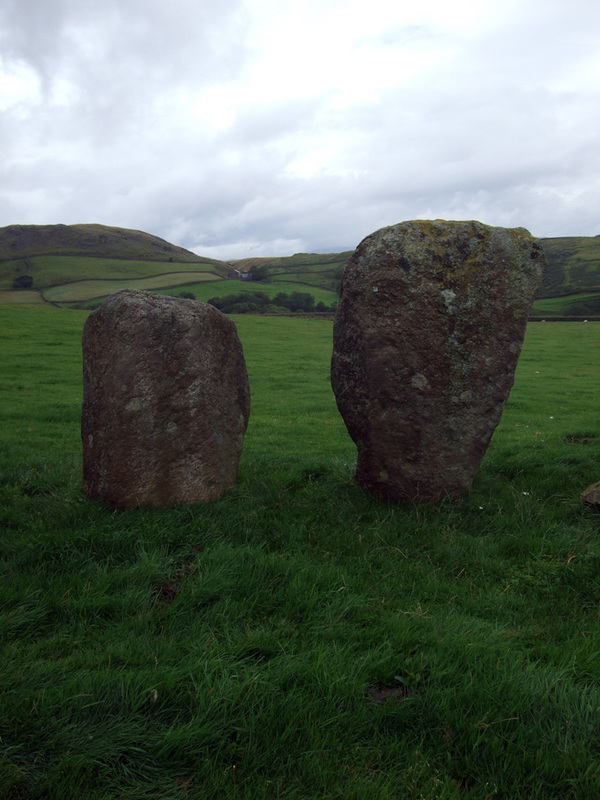 Swinside Stone Circle is known locally as Sunkenkirk, due to a legend that the Devil created the stone circle. According to the tale, the stones had been intended for building a Christian church, but one night the Devil made them all sink into the ground. There is, of course, no truth in this story as the monument dates from the Bronze Age. My photos only show a few of the stones. This is because my friends were picnicking in the middle of the circle when I took my pictures, and they didn't want to be in the shots. In the run-up to midsummer I'll be posting more photos of stone circles as well as talking more about their history and the legends associated with them. The Megalithic Portal's pictures of the complete monument really are breathtaking. I only wish there were a megalith close enough for me to visit myself!